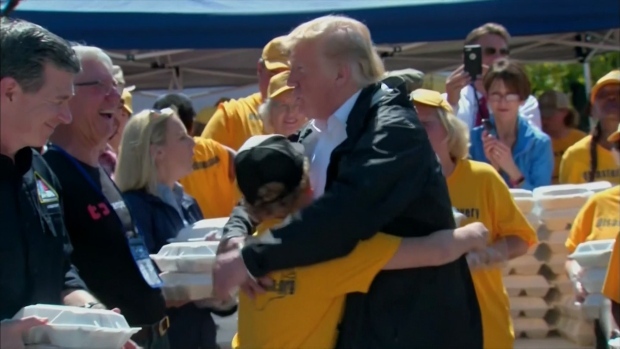 As rivers swollen to record levels started to recede Thursday in North Carolina, officials tried to head off potential environmental disasters and prepared for more record flooding downstream in South Carolina. South Carolina Gov. 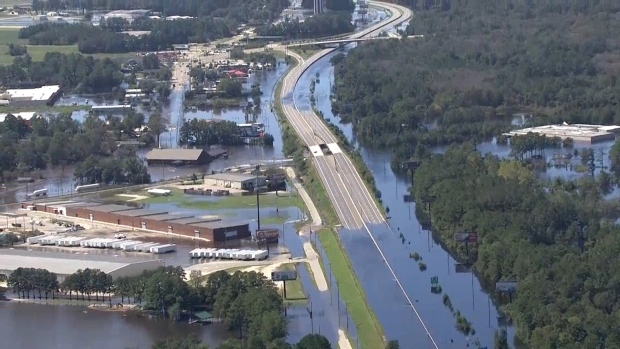 Henry McMaster estimated damage from the flood in his state at $1.2 billion in a letter that says the flooding will be the worst disaster in the state's modern history. McMaster asked Congressional leaders to hurry federal aid. North Carolina's governor hasn't given an estimate of damage to his state. Among the breakdowns included in McMaster's letter is an estimated $125 million hit to South Carolina's agriculture industry. The governor noted that some of the estimates were based on damage resulting from Hurricane Matthew in 2016. McMaster requested federal disaster-recovery funds be made available for 23 of South Carolina's 46 counties. He wrote the damage from Florence in the northeastern area of the state "will be catastrophic, surpassing anything recorded in modern history." "This sanctuary was built in 1909, and it never flooded until Hurricane Matthew," Benfield said. In Wilmington, things kept creeping back closer to normal in the state's largest coastal city. Officials announced the end of a curfew and the resumption of regular trash pickup. 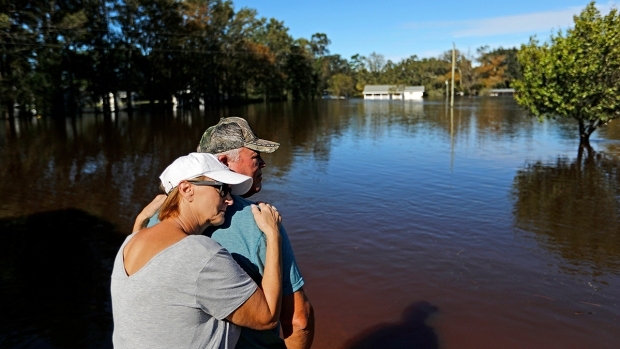 Jodi Pajaro owned one of the few houses in Nichols that wasn't flooded in 2016 by the Little Pee Dee and the Lumber Rivers which flow past either side of the town. "It doesn't look good. I am heartbroken," she wrote in a text. Homeowners are being advised to check in with their insurance agencies to jumpstart the rebuilding process after Florence - even if they haven't returned yet. A bystander filmed a waterspout forming outside Myrtle Beach, South Carolina, on Sunday as the National Weather Service issued several tornado warnings for Horry County. All that water from Nichols and Conway is heading toward Georgetown County, where five different rivers dump into the Atlantic Ocean. Officials warned more than 10 percent of the county's 61,000 residents might have to evacuate sometime next week, but called that a worst-case scenario and they couldn't give any specific forecast. 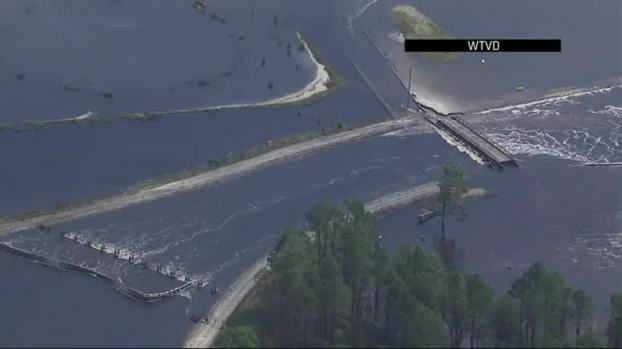 Duke Energy activated a high-level emergency alert at a retired coal-fired power plant in North Carolina as floodwaters from the nearby Cape Fear River overtopped an earthen dike at the facility and inundated a large lake, raising concerns of a potential breach. Company employees notified state regulators overnight that the 1,100-acre (445-hectare) lake at the L.V. Sutton Power Station near Wilmington was at the highest level of alert under its emergency action plan. The dam containing Sutton Lake appeared stable and Duke officials were monitoring it with helicopters and drones, Duke spokeswoman Paige Sheehan said Thursday, adding that it was "an evolving situation." 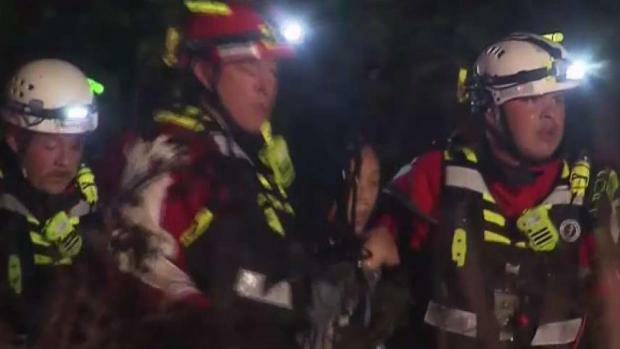 Jasmine King was rescued from the water after her car was swept away on a flooded roadway in North Carolina amid hurricane-turned-tropical-depression Florence. News4's Jim Handly reports. A copy of that plan reviewed by The Associated Press defines an Emergency Level 1 event as: "Urgent! Dam failure is imminent or in progress." Associated Press photographer Chuck Burton and AP writers Skip Foreman, Alex Derosier and Jay Reeves contributed to this report.